How does your website compare to your competitor's? Have a product? Why not sell it online? How does your website look on mobile and tablet devices? 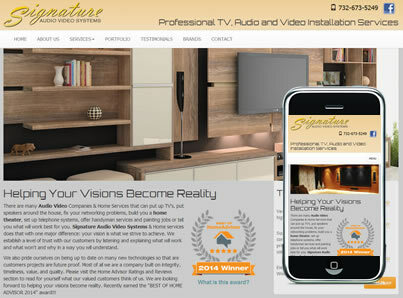 vinSITE solutions has been doing web site design and web development in New Jersey since 1996. Web Design is more then putting together a few pages in WordPress. vinSITE Solutions is dedicated to understanding your company's internet needs and producing a professional internet presence to keep your organization on the competitive edge. Making money with your website in today's world is mandatory. If you have a website, it needs to be working for you. Your website is your online 24/7/365 storefront and the clients that "walk through your doors" need to be able to quickly and easily review, select and purchase your products with ease. Search Engine Optimization is also referred to as Search Engine Positioning, Web Site Promotion, Marketing, Visibility, Placement, or Ranking. Search engine marketing and optimization is an on-going process. It is the most effective form of website promotion and offers a higher return on investment than any other form of online marketing. Desktop PCs are no longer the first place people go to view a website. Recent studies show it is 3rd with mobile and tablet taking the top spots. Responsive design allows your website to look great and perform better across all devices. Is your site up to date? How does it look and function across all browsers and mobile devices. The web is always changing and you must keep up with the latest technologies and graphic trends. 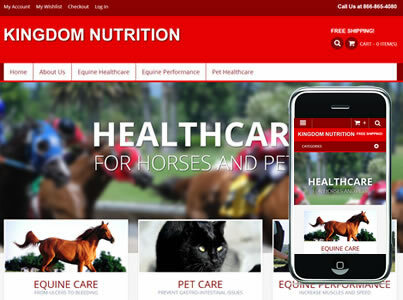 Sells the finest and healthiest state of the art nutritional supplements for all equine animals in order to keep them healthy and enhance their abilities to perform at optimal levels. ONE HUNDRED YEARS IN THE FUTURE, ON AN ATOMICALLY DEVASTATED EARTH, A GROUP OF GENETICALLY ALTERED FREAKS MUST UNITE TO LIBERATE THE PLANET FROM ITS NEW WORLD ORDER AND THE ARMY OF CENTCOMM AGENTS. 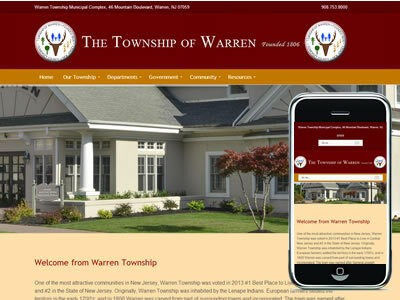 One of the most attractive communities in New Jersey, Warren Township was voted in 2013 #1 Best Place to Live in Central New Jersey and #2 in the State of New Jersey.